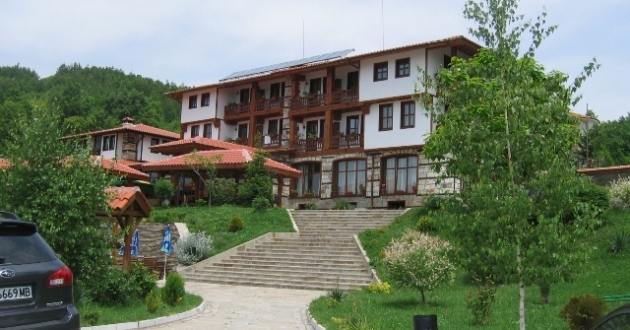 Location: Glavatarski Han hotel complex is situated some 7 kilometres from the town of Kardjali, next to Kardzhali Reservoir within some unique originality and the unspoiled countryside of the Rhodope Mountains. Accommodation: of 22 rooms, 17 of which are standard, 2 junior suites, 2 duplexes and 1 presidential suite. In the hotel: restaurant, conference hall with 60 seats, modern Aquapark, piano bar, fitness centre, spa center with sauna park: finnish sauna, aroma steam bath, Turkish bath, contrast shower, Jacuzzi with extra massage jets.